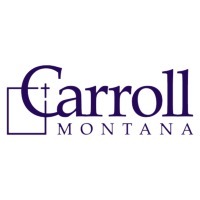 Review: Carroll College is a private Catholic liberal arts college in Helena, Montana, USA. Carroll was founded in 1909 by John P. Carroll, second Bishop of the Diocese of Helena, Montana. It was originally called Mount St. Charles College to honor St. Charles Borromeo. It was founded as an all-men's liberal arts college with an emphasis on preparing men for careers in the priesthood, law, medicine, teaching and engineering. It is now coeducational. In 1932 the college was renamed in honor of its founder. 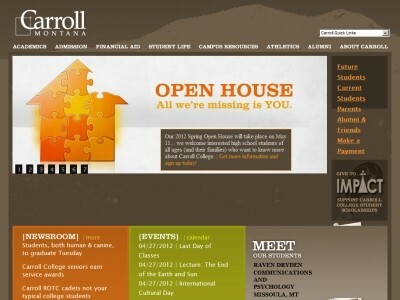 Today Carroll College is private, Catholic, liberal arts and preprofessional college. The school has earned top national and regional awards for its academic programs, including its biology, civil engineering, nursing, and mathematics departments. Carroll's colors are purple and gold. The school teams are the Fighting Saints. Location & access map for "Carroll College (MT)"